So simple, it will knock your socks off! Low on time? Not great in the kitchen? You can still WOW your guests or host(ess) with a Super Simple American Flag Sugar Cookie Cake! Super Simple American Flag Sugar Cookie Cake is a super easy way to celebrate America! Prepare this fourth of July dessert in a disposable tin to take to parties for a easy clean up. 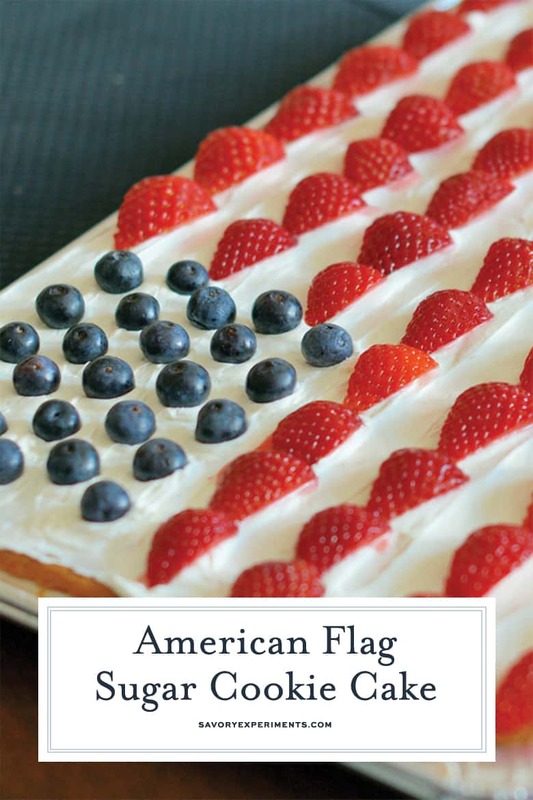 Having some easy American flag desserts in your recipe book are really quite useful. Holidays always seem to sneak up on you, and when you get into the day it’s always a rush. You have to get to your party by 3 or you have guests coming over in 30 minutes. Well this dessert recipe only needs 5 minutes of prep and 30 minutes in the oven. I call that a quick fix to your dessert problem. Oh and it looks patriotic and delicious! This dessert will be a hit, guests will love the taste and the look of this sugar cookie cake. If you have spare time you can even prepare this fourth of July dessert ahead of time and just refrigerate until you are ready to serve. Just add the fruit to this sugar cookie cake 3-4 hours prior to serving for the best results! To make this 4th of July dessert I used a packaged sugar cookie mix because I was low on time, but you can use your favorite drop sugar cookie recipe. Chances are you’ll need to double the recipe to have enough dough. 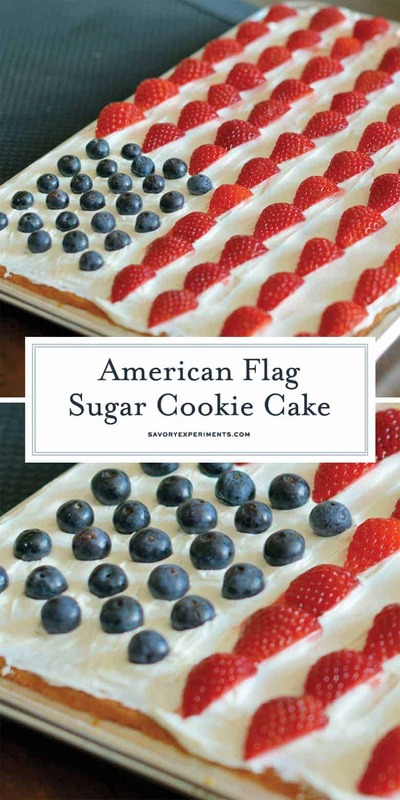 So whether you are having a barbecue, picnic, family get together, or a party let this Super Simple American Flag Sugar Cookie Cake help you have a easier day with an amazing patriotic dessert that tastes delicious! 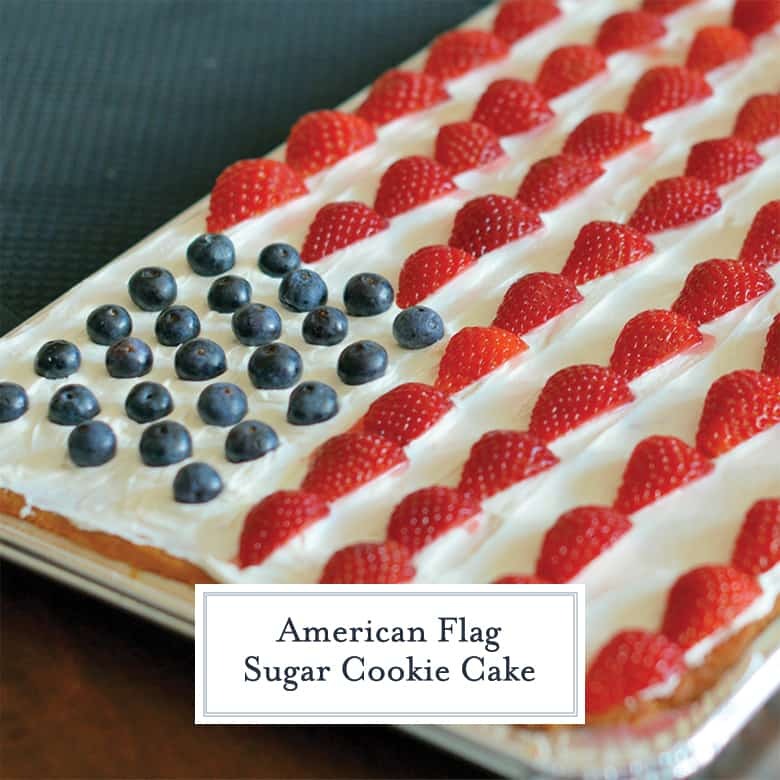 Super Simple American Flag Sugar Cookie Cake is so simple, it will knock your socks off! Preheat oven according to package directions. Lightly grease a large rimmed baking sheet, approximately 12x17. Prepare sugar cookie dough according to package directions. If it gives you the option of making drop cookies or roll out, use the drop cookie instructions. Spread evenly into rimmed cookie sheet. Bake according to package directions, plus an additional 8-10 minutes or until the whole giant cookie is lightly brown. Allow to cool fully and frost. Do not add fruit until 3-4 hours before serving. Carefully eyeball the cake in half. In the top left hand corner, add 50 blueberries. Break cake into 7 stripes, add strawberries. This is such a great idea. Using premade sugar cook dough makes it really easy to have a great treat. Sugar cookie, huh? How cool! Sounds delicious! I am definitely not the best with desserts, but this looks do-able! It’s so beautiful! I wish I had seen it the other day, before our party. My cousin makes a flag cake EVERY year for the 4th of July. I’ll have to make YOUR version and then have everyone comapare it to HER version and see what ppl think. HAHA! 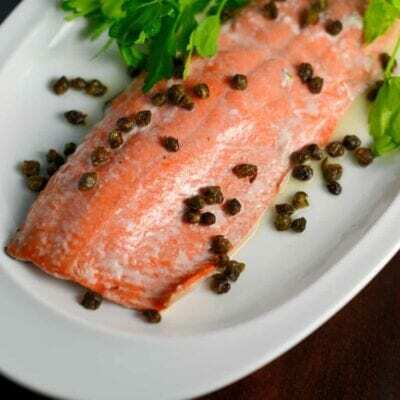 I’m all for simple holiday dishes and recipes. Anything that involves spending less time in the kitchen and more time enjoying my family! That sounds like a great recipe! I would love a sugar cooking with icing right about now. This is really cute and easy. I might have to make this for our party Saturday. Yours came out perfecto! 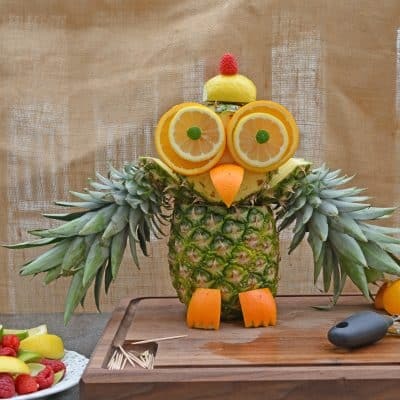 Beautifully cut fruit and staged really nicely! 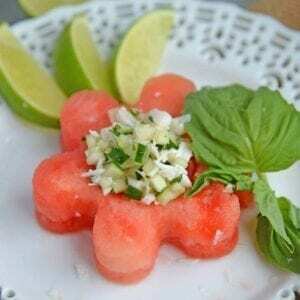 OH so sweet and it looks so simple to make. Thanks for sharing. This is gorgeous! The perfect dessert to serve up this week! That sugar cookie looks absolutely amazing!! So patriotic just in time for the 4th! Nothing wrong with going simple! Especially when you dress it up for the 4th! I’m sure mine wouldn’t come nearly so nice as yours. I absolutely love this though. Yum. No really. That looks really good and now I need some. I love the fresh berries! Oh how cute! 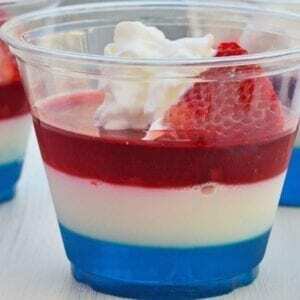 What a perfect and simple dessert for the Fourth of July. Beautiful and simple. Two of the best things when making desserts. 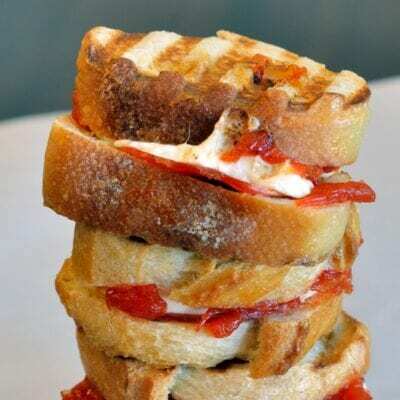 I am not much of a baker so I do enjoy a super simple recipe like this. I love that the top can be changed with different fruits for non holiday events. That is one heck of an idea! Looks good! That is simple! Gives you time to get out of the kitchen and get back to enjoying the holiday. I love sugar cookies, but never knew there was a such thing as a sugar cookie cake. Now I want one. Your flag sugar cookie cake came out amazingly! How easy! 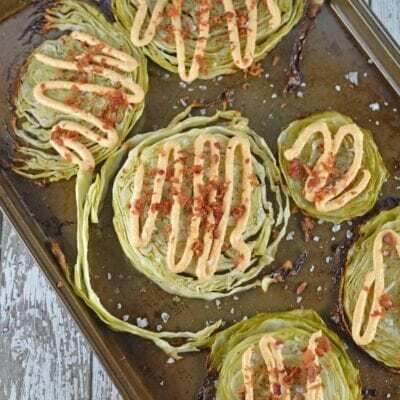 I might make this this week! This really does look easy! I have to make something for a party this Saturday. I’m definitely considering this cake. That IS pretty easy, huh? And how festive is that? I love it. This is TOO Cute! perfect for the 4th! That is gorgeous and perfect for this weekend! I will be right over to help everyone eat it! This looks really good.I would have to do this with a union jack instead though lol. How adorable! I love festive food. What size sheet pan is everyone using? 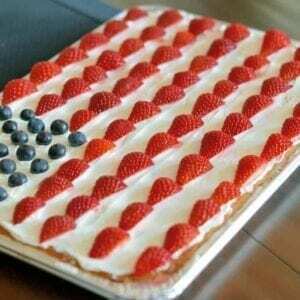 i want to make this for the 4th. It was a 12×17 disposable cake pan with low sides.